The time to study abroad is now. Become a citizen of the world by immersing yourself in another culture, earning academic credit and enhancing your resumé along the way. Learn. Grow. Leave your comfort zone. Have fun! 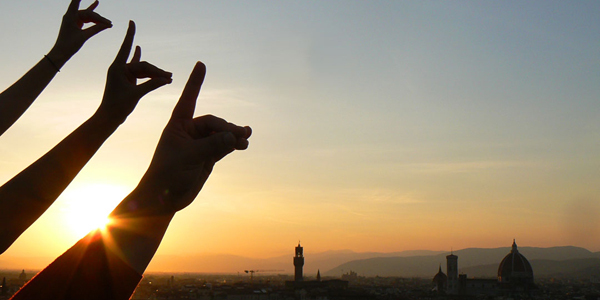 There are many reasons to Study Abroad while at NC State. See what students have to say about their experiences abroad. It was one of the best decisions I’ve ever made: to go study abroad. We currently offer several faculty-led summer programs in French, German, Italian, Spanish, and one semester-long program as part of a consortium with other universities in the UNC system. Explore our programs below. Have questions about a specific program? Read the program brochure and contact the listed Faculty Director for more information. Art and Society is a new 3-credit Spring Semester Course, which meets on campus through the semester and also includes a week (Spring Break) spent in Paris, France. This class will introduce students to the history of French Art as well as the French language (a major influence on English). By looking at the role Paris played and still plays on the world stage and focusing on themes of diversity and power, we will investigate how studying another country's art and society will help us to better understand our own. The Paris, Normandy, and Lille program is designed for students to study French language, culture, art, cinema, politics, or international business, while immersing themselves in the French experience. The program begins with a week-long study tour in Paris and Normandy. There will be a boat and bike tour of Paris, time to visit the major museums and monuments, and visits to Mt. St. Michel, Bayeux, American Military Museum at Omaha Beach, Etretat, and Honfleur. The Vienna program is sponsored by the College of Humanities and Social Sciences (CHASS) and the Department of Foreign Languages and Literatures. Students will have the opportunity to spend 4 weeks in one of the cultural centers of Europe. The program offers one German Language Course (any level) and one course on arts and culture of Vienna around 1900. The program is run in conjunction with IKI (Internationales Kulturinstitut), and all courses will take place at the IKI center in the heart of Vienna. Participants may enroll in both courses or in one course, but at least one of them must be taken for a grade. For program cost information, see the program brochure below. Early application is advisable for all NC State Summer Programs. This program, located in Perugia, Italy, begins with a four-day tour in Rome! While in Rome, students will visit the ancient most evocative ruins such as the Coliseum, the Sistine Chapel and other historical sites. Then, participants will study at the University for Foreigners in Perugia, the ideal location for students who wish to acquire a genuine experience of Italian life, culture, history, and culinary art in a safe, student friendly environment, all while earning 6 academic credits. Students can take classes in Italian Culture -taught in English- complemented by cooking classes, and in Italian Language. Students can fulfill the GER in Foreign Language and the GEP in Global Knowledge, saving two foreign language semesters at NCSU. No previous Italian language experience needed and no placement test is required! After spending one day in Lima upon arrival in Peru, you will leave for a fabulous 12-day trip to Cuzco and Machu Picchu. Cuzco, the Inca capital, is a fascinating combination of Inca ruins and culture and Spanish Colonial arquitecture. We will also visit the surrounding area, including the towns of Ollantaytambo, Chincheros, Pisac and, of course the spectacular “lost city” of the Incas, Machu Picchu, one of the Seven Wonders of the World. You will have the option of hiking in the Andes, visiting Indian markets, riding horses to several Inca sites, learning about traditional weaving and many other activities. This is a semester-long program provided through UNC Consortium. Students depart as a group from Charlotte, NC in mid-September or early February and will be met in Madrid by the resident director, who will accompany them to Santander. The program will begin with a required, 3-credit intensive Spanish language/grammar course. Following the month-long intensive course, all students will enroll in an additional required language course, as well as two or three additional courses. The Segovia program is sponsored by the College of Humanities and Social Sciences (CHASS) and the College of Engineering (COE) at NC State. It is open to all majors and includes a focus on how engineering is applicable in many aspects of everyday life. In Segovia, students will utilize the city and surrounding area to explore language, technology, and culture. The classes, excursions, and field trips offered will encourage the ability to use the language in authentic settings while permitting the student to study and experience the rich culture of Spain. This is an excursion based program and in addition to visiting several small towns outside of Segovia, it will allow you travel to Madrid, Ávila, Salamanca, Toledo and a possible weekend trip to Barcelona. 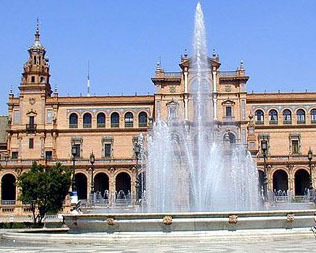 With Sevilla as their month-long base, students explore the Spanish Language, Culture, and European business and marketing practices through visits to numerous cultural and unique business sites. Enjoy tastings at an olive grove, a famous vineyard, and other Spanish businesses; overnight excursion to Córdoba, Granada, Toledo and Madrid, day trips to the ancient Roman ruins of Itálica, the beach, and numerous museums and historical sites. Upon arrival in Valencia the students will go to the homes of the Spanish families, which will be their hosts throughout the program. Valencia, Spain's third largest city, is a fascinating combination of impressively decorated ancient buildings together with amazing, cutting-edge modern architecture. Valencia's location is also ideal, being centrally located along the Mediterranean Sea, with beautiful beaches, world-class sailing and wonderful paella restaurants. The first step to studying abroad is attending a general advising session. From there, you’ll work with advisors from your department and NC State to make sure you get the most out of your visit abroad. Ready to start planning your trip?